Tigers Lil Secret is an exceptional double registered 5 year old mare. 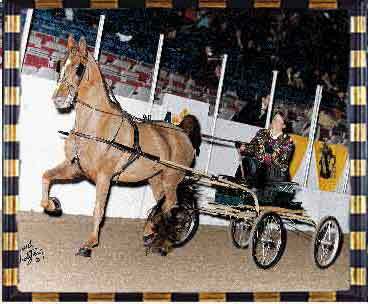 Miss Lillly is an accomplished 5 gaited and fine harness mare. She has produced 2 fine colts: All American Peacekeeper and The Lord's Heavenly Star of Wonder. She is the sweetheart of mares. 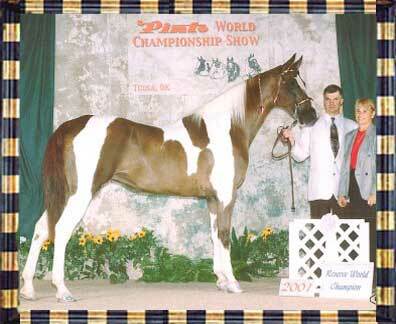 2001 Pinto World Outstanding Horse of the year! 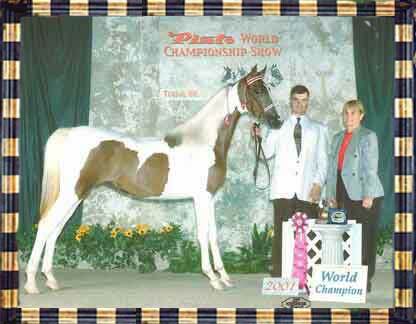 This mare at 14 years of age gave her all and walked away from Pinto World with 3 world titles and an Outstanding Horse of the Year. Winter White Chocolate is not for sale. She is a multi winner, but more than that she has taken our desire to serve the Lord and brought us 2 fine colts that have shown us many miracles that the Lord had for us. Tel A Secret is a very dark liver chestnut 15.2 mare. 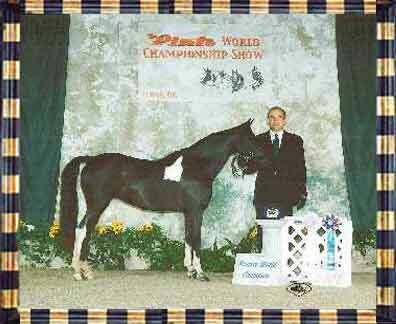 Miss Secret is an accomplished 3 gaited and a fine and Soul Winner. 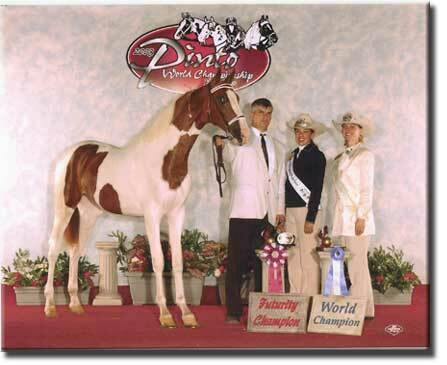 Both are multi Pinto World Champions! 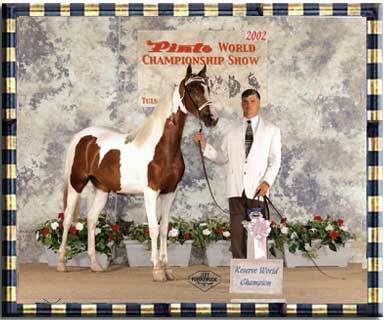 Her 2005 colt, sired by Pinto World Champion Majestic Miracle is for sale. She will have a 2006 foal in the spring. Miss Grace is a beautiful blue eyed beauty! 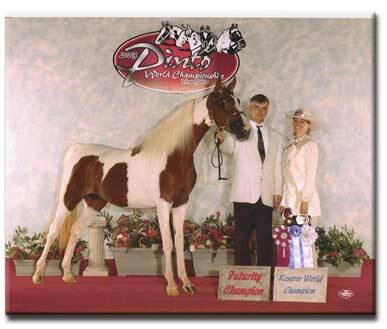 She is an accomplished pleasure driving and three gaited mare. Miss Grace has been ridden both in and out of the show arena. She is breathtaking to behold. She is surely Graced By His Glory! Miss Misty is a beautiful true black and white 10 year old Pinto pony. She is 1/2 Arab and 1/2 Hackney. Miss Misty has so much motion. She has rhythm to beat the band! Beautiful head and a wonderful disposition.